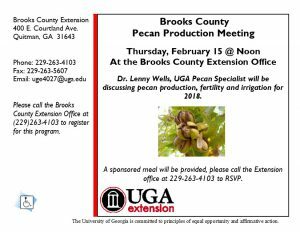 Pecan Production Meeting will be Thursday, February 15th at noon. 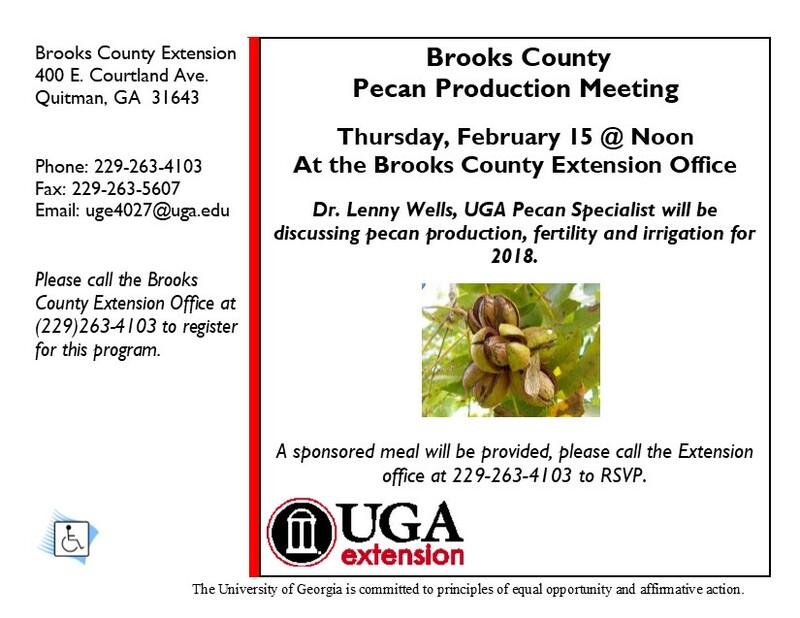 Please RSVP to 229-263-4103 if you plan to come. Posted in Pecan. Bookmark the permalink.